In its response to a petition that wanted a reduction of water level at Mullaperiyar dam, the Pinarayi Vijayan government told Supreme Court that sudden release of excess water from Mullaperiyar dam by Tamil Nadu was one of the reasons for unprecedented floods. Kerala added that Tamil Nadu had ignored its request to control the water flow of the dam. The Kerala government has knocked the doors of the Supreme Court, blaming Tamil Nadu for unprecedented floods in the coastal state. Submitting its repose to a petition that wanted a reduction of water level at Mullaperiyar dam which is located in Kerala, the Pinarayi Vijayan government claimed that excess release of water from Mullaperiyar dam by Tamil Nadu was one of the reasons for unprecedented floods in the coastal state, causing massive destruction of life and property. The state government added that Tamil Nadu had ignored Kerala’s request to control the water flow of the dam. Since August 8, more than 350 people have been killed and the state has suffered a loss of over Rs 19,000 crore due to flood-related incidents. Earlier, a war of words broke out between the Kerala government and Opposition. The opposition parties have blamed the government for floods, terming it man-made. Amid the rehabilitation process, donations continue to pour in for the flood victims. But UAE’s Rs 700 crore offer sparked a debate between the state and central government. 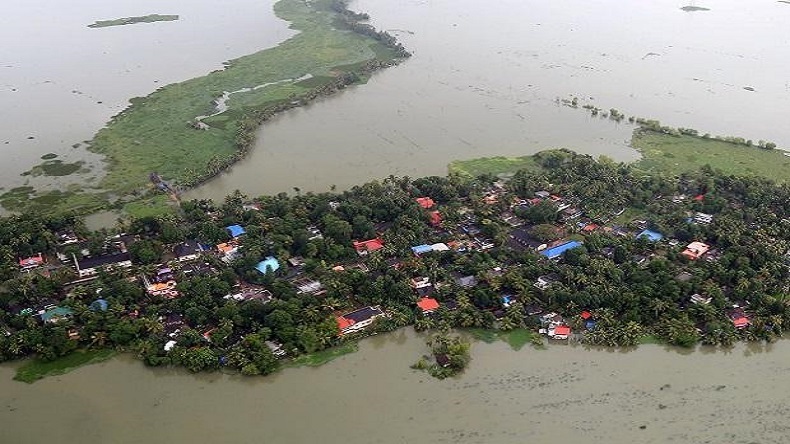 With Centre refusing to accept the financial assistance from other countries, Kerala asked the Modi government to go by 2016 National Disaster Management Plan (NDMP), adding that either they should compensate for it. However, the central government has assured more funds for Kerala after several requests made by Kerala Chief Minister Pinayari Vijayan. Earlier announced funds – Rs 500 crore by Prime Minister Modi and Rs 100 crore by Home Minister Rajnath Singh – were released. The central government has made it clear that it is the advance assistance only and further funds would be released after a complete assessment of the damages. Pakistan newly elected Prime Minister Imran Khan said that he is ready to provide humanitarian assistance to Kerala floods victims. Apart from UAE, Thailand, European Union, Maldives have also offered financial assistance for Kerala floods victims.